I’m generally against capital punishment except in cases of dumbasses willfully using “alot” as a word. That said, I fully recognize English spelling rules do no one any favors. For example, the words “sail” and “sale” are pronounced exactly the same but have entirely different meanings. So are “scent,” “sent” and “cent.” And don’t even get me started on that “i before e” crap. Over time many have noted the problem lies in the fact that we use an alphabet which essentially hasn’t changed in 1,000 years. The English of Chaucer’s time only bears a passing resemblance to the English of today. So why are we still using the same damn letters? My guess is a combination of force of habit and general laziness. The Georgian alphabet never caught on here, not even in Atlanta. It’s said during quiet nights on the Metro, you can still hear Congress laughing. … Eh, same facial hair. 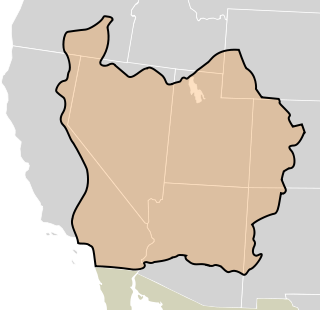 Yup, ending up in Utah after being unceremoniously thrown out of every place else they’d been, the Saints wanted to do everything their way. They even created a new alphabet to communicate amongst themselves. Attempts to change the alphabet were nothing new, not even in the 19th Century. No less than Benjamin Franklin himself made such a proposal in the 1760s. However unlike Franklin, who apparently lost interest in his proposal soon after he made it, the Mormon Church made a serious effort to implement their alphabet for daily use. Thus, the Deseret alphabet was formulated. 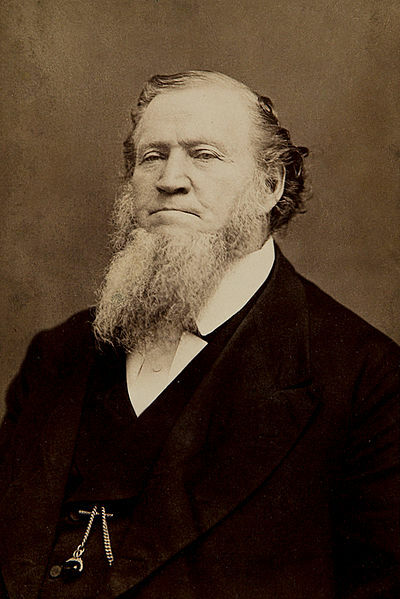 LDS Church President Brigham Young, noting many of the same problems with English spelling rules that Franklin observed decades earlier, formed a committee at the recently-established University of Deseret (now the University of Utah) and charged them with creating a more phonetically friendly alphabet. In January 1854, the university announced it had succeeded. Having between 38 and 40 letters in its various incarnations each corresponding to a different English phoneme, the Deseret alphabet was touted by Young as a solution to those silly spelling rules and that “the years that are now required to learn to read and spell can be devoted to other studies.” Young didn’t elaborate on what those other studies should be, but I’m willing to bet they didn’t involve 8 Ball. Being a religion, the LDS Church set out to publish its scriptures in the alphabet, including the Book of Mormon and Doctrine and Covenants. For a time the Deseret News published a section in the alphabet as well. A couple of textbooks were thrown in for good measure. There’s even an extant headstone and coin utilizing the alphabet. Unlike fry sauce and Jell-O molds, the Deseret alphabet never caught on in despite Young’s enthusiasm. Public indifference and the prohibitive costs of transcription and printing combined to doom the alphabet. After Young died in 1877, the project was quietly abandoned. Still, the Deseret alphabet isn’t quite dead. It’s been part of the Unicode standard since 2001. It’s also the official alphabet of the Republic of Molossia. Technical note: Today’s sub-headers are written in an attempt to use the Deseret alphabet. If you can’t see them you may need to download and install a Deseret font. I’m sure you’ll find it very useful in the coming years, or something ….